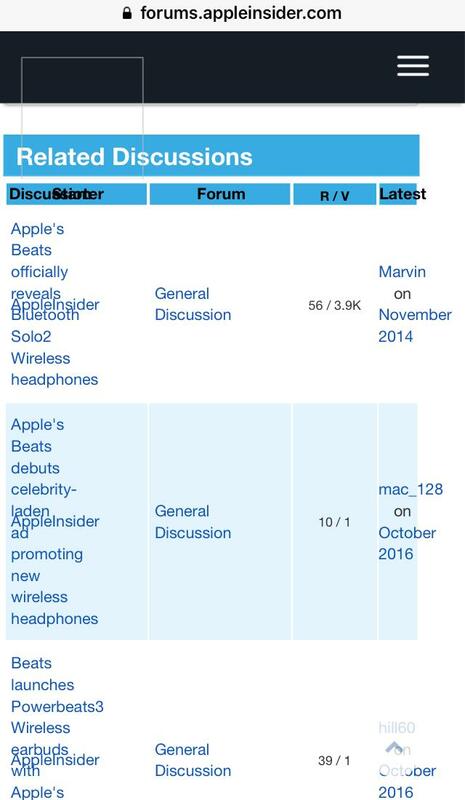 This discussion was created from comments split from: Apple's Beats teases graffiti-styled Neymar Jr. edition Studio3 Wireless headphones. Oh, dear. I guess this “related discussions” thing is now part of the threads? I gotta say, it is terribly formatted on a phone.